Motherhood is hard y’all. SO hard… it stretches you thin and just when you think you couldn’t be stretched any more, you’re stretched again (elastigirl anyone?). I remember when I first had Jadyn and thought to myself, holy cow… now what do I do? I remember the first week of having Jadyn home, and there was one night where all he did was cry. I tried feeding him, rocking him, I changed him, and nothing. Bless my 23-year-old heart (LOL! ), I cried with him on the couch that night. I had no idea, and I still sometimes have no idea what I am doing. The thing about motherhood is every child is so different, and unfortunately these tiny humans don’t come with some sort of manual (although that would have been nice). One thing I have learned a lot from is reading from people who have gone before me. I have learned so much from so many books on parenting, marriage, and even as a businesswoman. 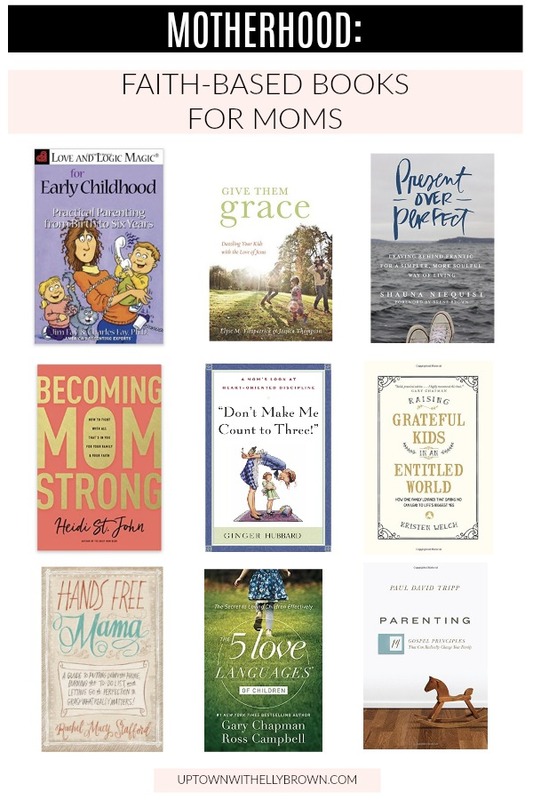 I’ve shared books on both of those topics actually, and today I wanted to share faith based books for moms that some I have read myself, and that some are on my reading list. I hope these books help encourage, uplift and maybe even give you a new perspective as they have for me. Happy reading, thank you so much for stopping by and have a great day!